Mua cave (Hang Múa) located in Dau Khe Ha hamlet, Ninh Xuan Commune, Hoa Lu district, Ninh Binh province. Mua cave means “dancing cave”, because under Tran King dynasty, this is place King enjoy dancing and singing performances. Mua cave belonged to eco-tourism complex that combines Mua cave resort, Mua Mountain. Besides, tourists can connect Mua Cave with many other famous attractions like Tam Coc, Trang An and Bai Dinh Pagoda by biking, trekking. Why should you spend 24 hours in Ninh Binh? 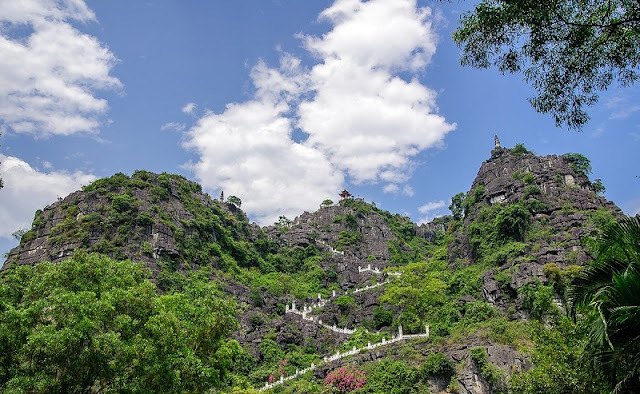 If you’re looking for an unforgettable view of the karst hills south of Ninh Binh, you might want to skip on the popular boat tour of Tam Cốc, and instead seek out Hang Múa. Over 400 steps will bring you to the top of a mountain, from where you’ll be able to see the unique landscape in all its glory. Show up to Hang Múa as early as possible, in order to avoid tour buses. 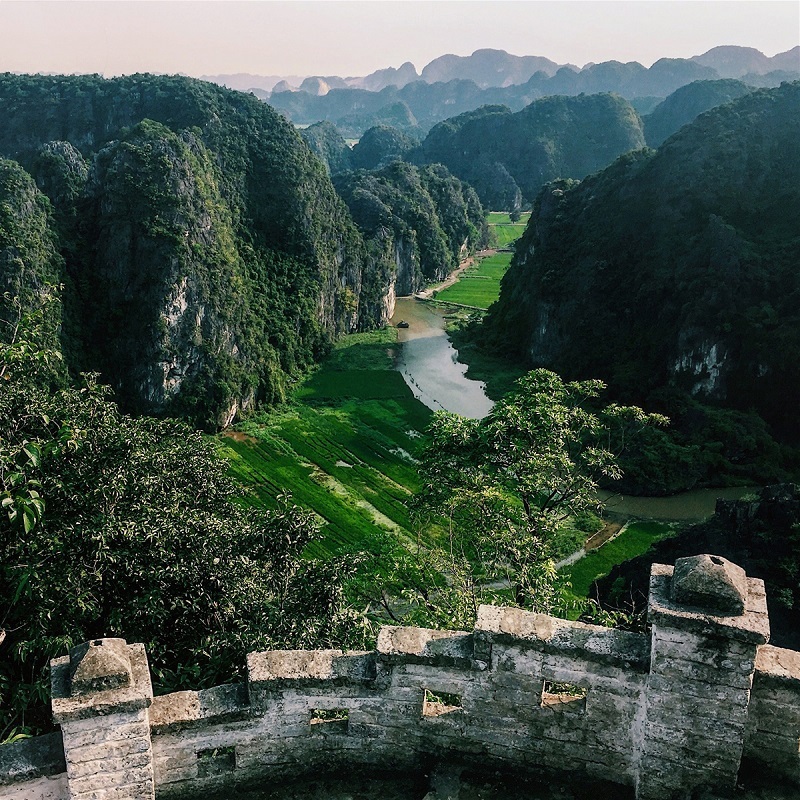 While not nearly as crowded as other attractions around Ninh Binh, the presence of even one big, rowdy group can ruin the experience in this otherwise quiet area (it happened to us). The path is steep and narrow, and this is the kind of nature best experienced in solitude. By my count, there were 459 steps to reach the top. Yes, I counted. That’s some serious exercise, and another reason to show up early, before the sun is too strong. The stairs are uneven and steep, but the reward is worth every bit of pain. Once at the summit, you’ll want to take your time, both to recover and to contemplate the view. If you haven’t been to Ha Long Bay, it’s safe to say you’ve never seen anything like it. At the bottom of the mountain, is the small cave which gives Hang Múa its name. It’s small and unspectacular compared to the view, but worth popping into, since you’re already there. Especially, between April and May when the rice is getting ripe from green to yellow colours, from view of Mua Mountain, its breathtaking beauty will overwhelm tourists. 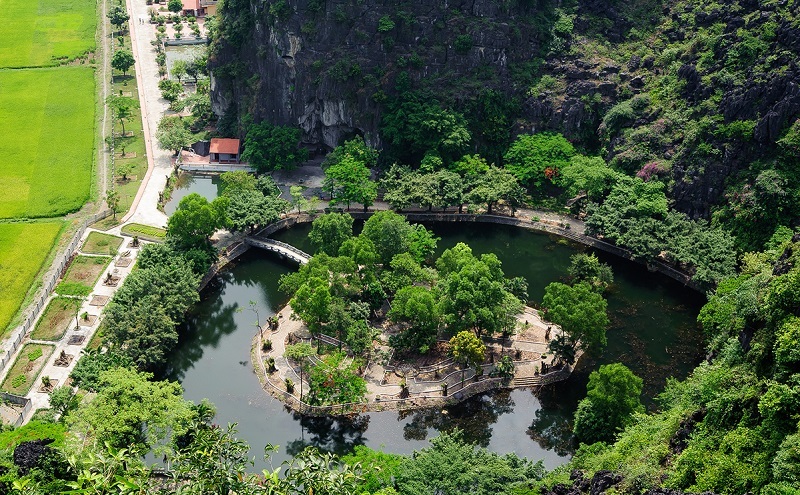 A visit to Ninh Binh from Hanoi will bring you a lot of great experiences from this great destination.